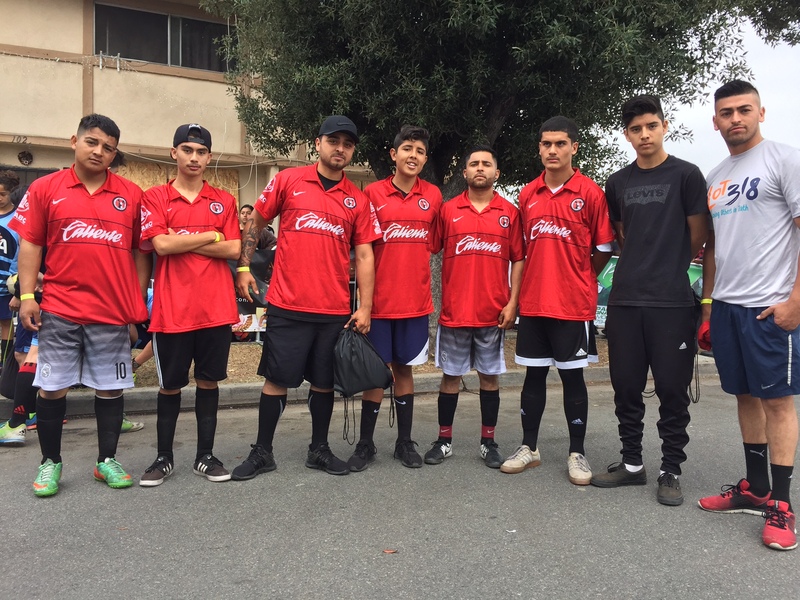 This was the third year that we helped to run the 11th year of the Annual Cypress Street Soccer Tournament. This is a real big deal for the neighborhood! The streets are cleaned, lines are painted and the windows are covered with baseboards. Early Memorial Day Monday the street gets closed, the City of Placentia police department stands by as the opening ceremony unfolds. Kids from the neighborhood carry a line of flags of many nations – for the last three years including Hungary’s. After the national anthem and prayer the music starts blasting with hot rhythm and the soccer ball finally is on its way. 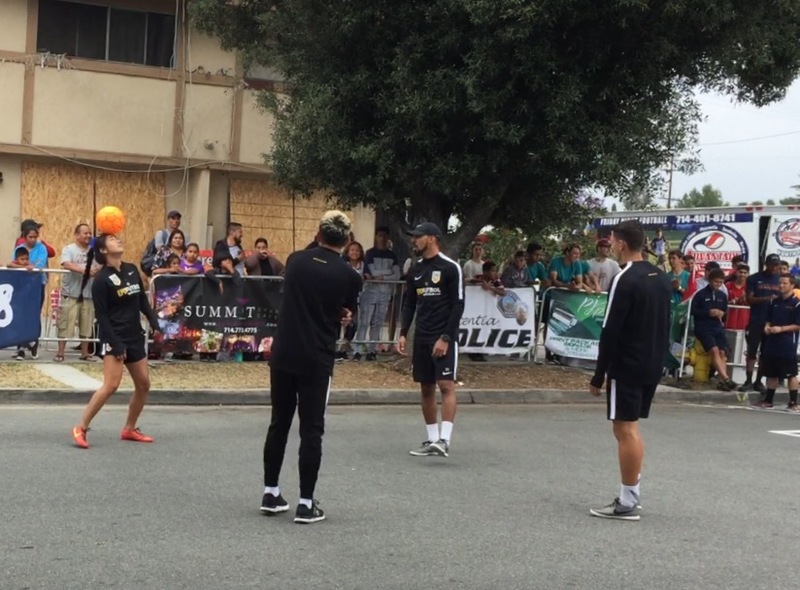 It is street soccer. Black pavement, hot asphalt, high curbs as sidelines, and hockey goals. Food stands with spicy Mexican choices and raffle tickets, all to benefit LOT318, a Christian organization that we also serve this area with. A colorful crowd cheers on as the battle goes on for hours between neighborhood rivals for the ultimate prize beyond glory and bragging rights – the cash prize. This year was a special one for me. A group of high school age guys with whom I play pick up soccer in a nearby park finally put together a team by themselves and entered to this event. Our prayers have been answered and they did pretty well advancing to the quarterfinals. It was a great event for a great cause!